Are you sick and tired of feeling forced to use acne products and face washes to clear your skin that end up causing your face to be red, irritated, too dry, or too oily? Or frustrated that, despite all that, they don’t really get rid of all your acne anyway? 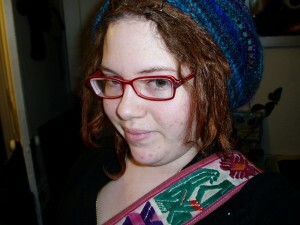 Do you yearn to just show your bare face to the world? Your bare, beautiful, naturally clear skin? Without having to work for it with this elaborate routine? Are you jealous of people who can seemingly just roll out of bed and look gorgeous without any effort? “My skin is different. Clear. Smooth. Calm. Able to heal itself." Since being on the caveman regimen, my skin is different. Clear. Smooth. Calm. Able to heal itself. My skin now feels more like “my” skin than it has in five years. I work as a clinical mental health counselor. I’m so grateful that my skin is no longer on my mind while I’m working with a client. I feel like I’m a better therapist because of it. 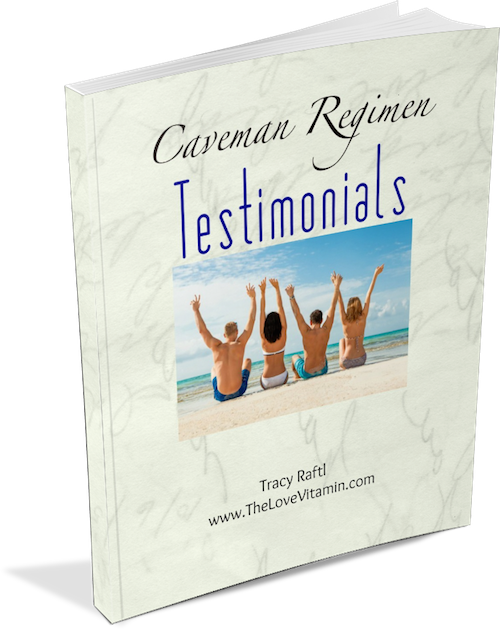 “Since using the caveman regimen my skin has cleared up tremendously and I am a much happier person overall!" I was struggling with acne, seborrheic dermatitis, rosacea, and worst of all bad anxiety!! Since adopting a healthier diet, managing stress and using the caveman regimen my skin has cleared up tremendously. But even more than that, I am a much happier person overall. I have made so many positive changes to my life because of you! Thank you so much Tracy, I am so grateful for you. But are you scared to stop using the products – terrified even – that if you don’t use them that your acne will be worse? Do you feel dependent on them? Sort of almost like a sick kind of addiction? Do you freak out when there are times that you have to skip your elaborate facial routine, terrified that if you miss just one day, your face is going to explode in acne? Or does it just plain PISS YOU OFF that when you sleep over at your boyfriend’s house, you can’t just fall asleep in his arms at bedtime without a care in the world? Instead you have to lug your mound of products to his house, and go to the bathroom and spend 30 minutes doing your routine, to the point where he’s thinking “What’s she possibly doing in there??”. He might even ask you about it, which always gets embarrassing. Or what about if you’re out camping with your friends, and it’s just plain HARD to do your facial routine? It’s really tough to sneak away and get it done properly without your friends wondering or questioning what you’re doing. Yet you’re so frickin scared not to do it, that it basically ruins your weekend. If you’re anything like me, you HATE that. You’re a natural kind of chick (or dude), and this routine seems just too bloody unnatural. It doesn’t align. And it feels unfair that you have to be tied down to this in order to keep your acne away, when all you want to do is be FREE! You want to be free to show your natural, bare skin to the world. 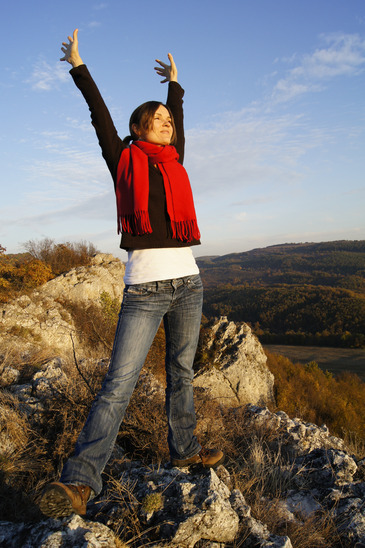 Free to sing, hike, and positively dance your way through life and beyond, without the baggage of your dreaded acne routine dragging you down like a ball and chain. I’ve been using the caveman regimen for about a year, and I love it. Through it, I discovered that I’m very sensitive to any topical product, and my skin is happier not being stripped of it’s natural oils everyday. My acne is almost non-existent now. Thank you. So what if I told you there was a way? There was a way to break free – never do the dreaded ‘routine’ again – and that it would actually improve your skin – and even in some cases get rid of your acne altogether! Well it’s real and it’s been dubbed ‘the Caveman Regimen’. Basically, you just don’t do anything at all to your skin. No cleansers, no moisturizers, no toners, no picking, no full face of makeup, no nothing. And you don’t wash your face. Some people splash their faces with water; some don’t even let water on their faces at all. You just let your skin heal and return to its natural self. Okay I know this might sound gross, or just plain CRAZY, but seriously, it’s not – I’ve been doing this for the last two years. I never wash my face anymore, or use any products at all on my face. None. Not even natural ones. Is my skin covered in acne? Do I look like a dirty mess? Yes it was totally scary at first to let go of everything I had ever known when it came to skin care. I was afraid. In fact, it was one of the scariest things I ever did. But I knew in my heart it was the right thing for me to do, and I’m so glad I faced my fears and tried it, because it turned out to be one of the best decisions I ever made. My skin is better than it ever was. And my skin looks completely normal. At first it went through some awkward stages as it was healing and normalizing after years of washing and products, but it quickly got over that and became very beautiful. The BEST PART is that I finally feel that freedom that I so yearned for. I can go camping; to music festivals; on a 10 day hike or kayak trip. I can roll around in the dirt if I want to without it bothering me in the slightest. If I get dirt on my face, I just gently brush it off with my hand and don’t think about it again. I’m no longer afraid of dirt and bacteria and sweat, and all the stuff acne victims tend to dread. And I don’t need to wash my face at night or do any kind of routine. I save time. I save money. I can spontaneously stay at someone’s house and not worry about being without my face stuff. I’m finally at harmony with my natural skin, not fighting against it. And I actually feel completely free for the first time ever. I am beyond thankful that I discovered and had the courage to take the leap and try this crazy regimen. I think using natural skin care products is great and works awesome for lots of people in regard to treating acne, but if you are someone who yearns to just be free of all that stuff, natural or not, then the Caveman Regimen just might be for you. It’s not for everyone but you’ll know if it resonates with you on a deeper level. 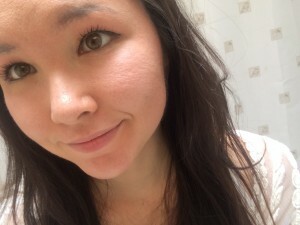 I started the Caveman 6 to 8 weeks ago… since then I haven’t had any more cluster pimples on my chin, and my face doesn’t get red as easily or for as long any more (I have fair skin that shows everything). Also my cystic pimples slowed down and stopped. My red marks are fading. Not washing my face twice a day has really saved me time, money, and sanity! And now I only have seen one pimple at a time, which is a huge improvement over before. It’s here and gone quickly with little fuss. Your Face Actually Get Rid of Acne? Well a lot of people don’t realize this but all those face washes, creams, toners, moisturizers and all the other junk we pile on our faces – ironically to GET RID of acne – is often making our acne so much worse. Your body and skin is actually a lot smarter than you think. To be healthy, it doesn’t necessarily need our interference with these strange chemicals and face washes that didn’t exist beyond the last 50 years. You see, the sweat, oil, and good bacteria on your face all come together to actually PROTECT you from invading acne bacteria. This is usually referred to as ‘the acid mantle’. But when we wash it away every day, all day, and use all these weird, unnatural products, it simply destroys this natural protection. Bye, bye acid mantle. 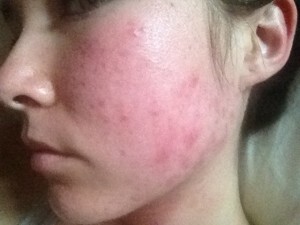 Now there’s a lot of reasons for acne, and a lot of it is internal – hormones, diet, stress etc. You know that. But there are also a whole lot of people out there who would actually not have acne at all if they didn’t use products. Or they’re simply making their acne a lot worse than it needs to be. Some people started using products and obsessively washing when they were teenagers and got their first pimple. They never stopped, and now they’re an adult with acne and can’t figure out why. Others started when they were older, but only really started having “bad” skin once they started the products. Can you imagine that? If you were actually creating your own acne with the very products you were using to get rid of it?? And if all you had to do was just stop using them?? Wow. Your mind might be being blown right now. After 30 days on the Caveman, I looked in the mirror and liked what I saw. There were still some pimples but way fewer than before, and my skin wasn’t as dry as it was before. Now I will just wash my face with water when I shower and I just kind of let the water run down my face. That’s all I do now, and my skin is better than ever! Very clear, only a breakout every now and then. I’m so happy I discovered the caveman regimen through your blog!! With everything in life, results may vary. You could completely clear your acne with the Caveman Regimen, or maybe just see some improvement. Or maybe you’ll decide it’s not for you. But personally, I love it. 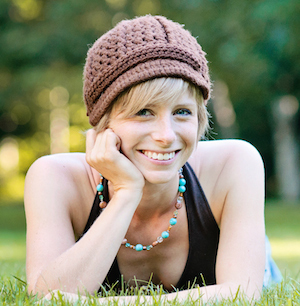 And ever since I first started doing it and talked about it on The Love Vitamin, hundreds – maybe even thousands – of people have tried it and sent in their feedback. Skin just looks healthier, more vibrant. Your skin tone will look more even, even if you still have some spots or red marks. Pimples are just generally less noticeable. I always found that acne is always the reddest and brightest right after you wash it, which is hard on your emotions. Washing my face twice a day meant that I was always washing away my natural tan. 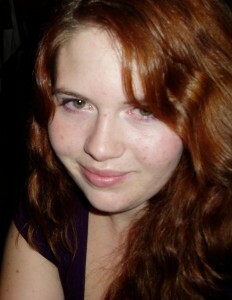 Now my face is brighter and more vibrant, and isn’t a different, paler colour than the rest of my body. You may become far less obsessed with your skin because you aren’t examining it twice a day like you did when you washed your face. This may lead to less stress and less picking and popping and poking at your face, which will lead to much healthier, better looking skin. Even if you don’t do the caveman or just do a modified version, just the principle alone may help you worry less if you have to skip your skin care routine for a night or a few days. You may realize that sometimes it’s totally okay to not wash your face, and that it probably won’t lead to certain disaster. You may feel more like yourself than ever before, as you will no longer feel embarrassed to show your bare, natural skin to the world! Finally, the real you! My name is JoAnn, I am a 24 yr old NJ resident and I can’t even begin to tell you how life changing your Cave (wo)man regime was for me! WOAH, only thing that has ever worked!!!!! Go figure lol all this time I was doing TOO MUCH. I was messing up my PH and didn’t just let my body just do what it is meant to do! I wana tell every suffering person about this. THANK YOU THANK YOU THANK YOU for all you do. Your openness has made a profound positive impact on my life! Okay … but.. what about sweat!? Or makeup!? Or… OMG BRAIN EXPLODING! Yes I totally get it. Not washing your face and not using products goes against all the conditioning we’ve ever had – our whole lives we’ve been told we need to obsessively wash and douse our skin with “stuff” in order to get rid of acne and have clear skin. Doing nothing should be so easy, but for many people it’s totally out of their comfort zone and completely counter-intuitive… not to mention SCARY!! What about all the bacteria?! What about how oily my skin is!? I HAVE to wash, otherwise it’s an oil slick! What about pollution and dirt? What if I slop food on my face? What about swimming in chlorinated pools? But… but… don’t you feel all gross and grimey? That’s how I feel after one day of not washing. I couldn’t stand that. Will I break out on this regimen? Does it get worse before it gets better? How do I explain to people what I’m doing? I want to do this, but there’s this ONE product I love – do I have to give it up? Is this a good idea for dry sensitive skin? Does this work for body acne too? You also get an amazing FREE bonus which is over 40 true stories & testimonials from other people doing the caveman regimen, so you can hear straight from the horses mouth what it’s really like to “just do nothing”. 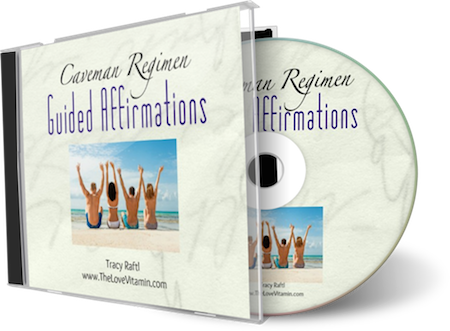 You also get this completely FREE guided affirmations audio (guided by yours truly). This audio will help you to change your subconscious beliefs about your skin and help you overcome the fears associated with the Caveman Regimen – such as feeling dirty, or not trusting that your skin can look after itself. Hey Tracy! 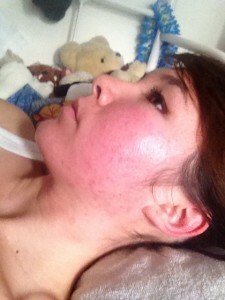 I have tried tons of natural products and they just seem to irritate my skin and strip it! I switched to cavemen after oil cleansing with tamanu oil failed me! I’ve been caveman for about 3 weeks and my skin seems to heal much faster! The zits just scab up and fall off, and all I do is wash my face with water. Is there people that the caveman regimen just won’t work for acne wise? How well the caveman regimen will work for you will depend on to what extent your external skin care regimen is irritating or causing your acne problem. If your acne is hormone or digestion based (ie. like teenage acne, adult female hormonal acne, acne due to a strong candida problem or leaky gut, etc), the caveman won’t be a miracle. It can’t get rid of this kind of acne on its own, but if your skin care is making it much worse (likely the case for many people using typical conventional acne products and washes), it will definitely improve the situation. I want to try this, but I couldn’t ever not wear makeup. Especially with my skin all broken out. I toooottaally understand this. When my acne was really bad, I just couldn’t not wear a lot of facial makeup to cover it up. Way too stressful. And stress isn’t good for your skin either, so you might find that gentle, natural skin care is better for you at this point and you may consider trying the caveman later when your skin gets a bit better. Though, in the guide, I do share a trick with you that allows me to do the caveman regimen but also cover up acne and blemishes if I happen to get some. PS – you can still wear eye makeup while doing the caveman regimen! I use mascara and some under-eye concealer, and never quit. I just… I can’t get over this. I’m interested, but it sounds so weird and gross. Not washing your face? Really? You know what, I completely understand that. But it truly amazes me how conditioned we all are to believe that terrible things will happen if we don’t obsessively wash. Of course we’ve been conditioned to believe this! Advertisers want us to feel dirty so that we’ll buy their products. And women are especially targeted. So much of this resistance to the idea is psychological. When you stop washing your face, you feel quite icky about it in the beginning because it’s not what you’re used to. As soon as you get used to it, it just feels normal. You don’t get that yucky, icky, ‘ugh I need to wash right now’ feeling anymore. My face looks and feels totally normal and I never feel like that. But I did when I first started, that’s for sure! But the feeling goes away. I promise you, it’s really not gross. I’m sure most of you know at least a few guys who never purposely wash their face beyond just getting it wet in the shower. And they have great skin, and no one thinks they’re gross! So why is it that women in particular feel like we need to do all these things and use all these products to be beautiful? 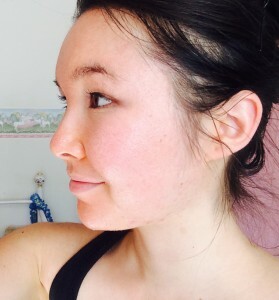 I can say that the caveman regimen has not only improved my skin but my life in general : I feel a lot more relaxed ever since I started it, I take a lot less time in the morning and I feel more beautiful since it’s my bare skin that I am showing to the world and not a colour mask on top of it. So here’s the deal: if you’ve been struggling for a long time with acne, HATING being tied to your face routine, and you’re serious about just wanting to be free from it all, get the Caveman package now, get your questions answered, and give it a go. Go camping. Go spend the night at that cute guy’s house. Don’t worry about your giant bag of products. You can forget all that at home from now on. 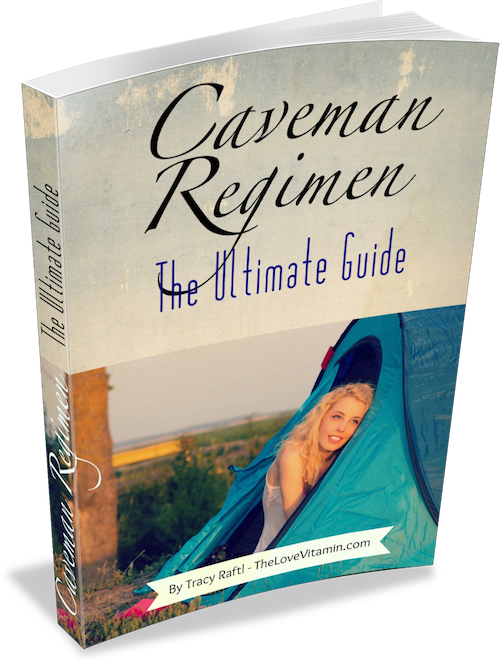 I took a leap of faith with the Caveman Regimen and it was one of the best things I ever did. “I am three weeks in and my skin looks SO much better!" While the true value of the package is $129, you can get it today for FREE when you join the Naturally Clear Skin Academy (a well and true bargain compared to the probably $500 or more per year you spend on skin care products). So happy you’re doing this guide!